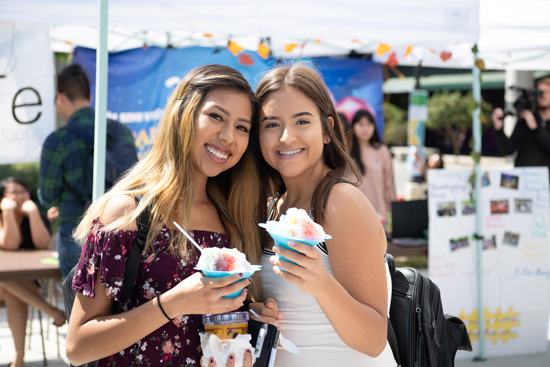 Golden West College launched its “Golden Promise Program” timed to the start of the Fall 2018 semester, providing eligible students with free tuition for the academic year. The program will cover tuition costs of $46 per unit. Health fees, the college service charge and any fees outside of enrollment are not covered by the program. Additionally, GWC scholarships awarded to students outside of federal or state financial aid will not impact eligibility for the program. Students are required to maintain 12 units of enrollment and a minimum GPA of 2.0. Qualifying students who have already paid their tuition for Fall 2018 will receive a refund to their account. For more information about GWC’s Golden Promise Program, please visit goldenwestcollege.edu/goldenpromise, or contact Mark Long at mlong19@gwc.cccd.edu. GWC English Professor Dr. Paul Tayyarr was nominated for a Pulitzer Prize in Poetry for "Postmark Atlantis" and for the Pushcart Prize, one of the most prestigious awards in American poetry.